This is another Omaha figure closely resembling the preceding, and obtained in the same way. 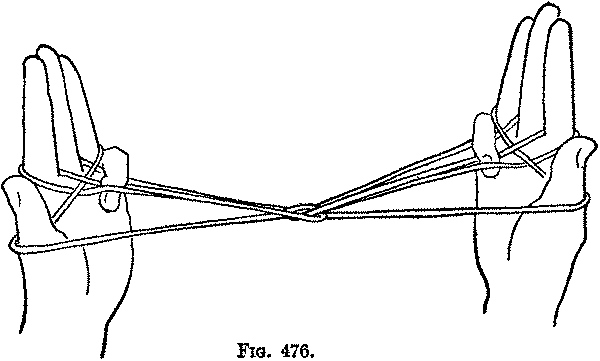 Second: Pick up with each ring finger, from below and from the palmar side, the palmar string of the same hand (Fig. 471), and withdraw the little finger (Fig. 472). 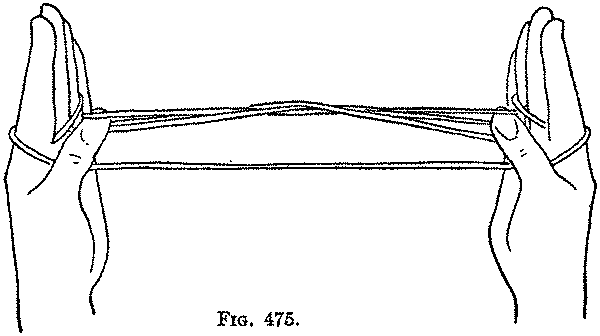 Third: Opening A, as usual (Fig. 473). 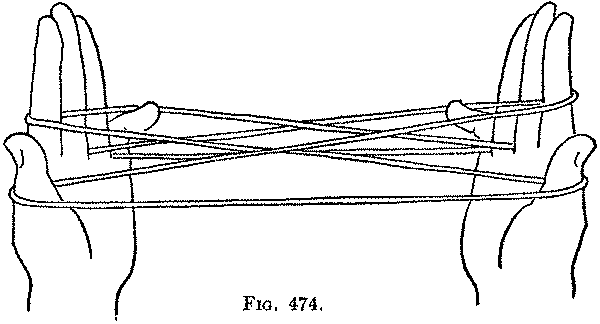 Fourth: Pass each little finger toward you over the ring finger loop, and pick up from below on the back of the little finger the far index string (Fig. 474), and return the little finger to its position. Release the loops from the thumbs, and draw the strings tight. Fifth: Pass each thumb away from you over the near index string and the near ring finger string, and pick up from below on the back of the thumb the far ring finger string (Fig. 475), and return the thumb to its position. Release the loops from the little fingers. 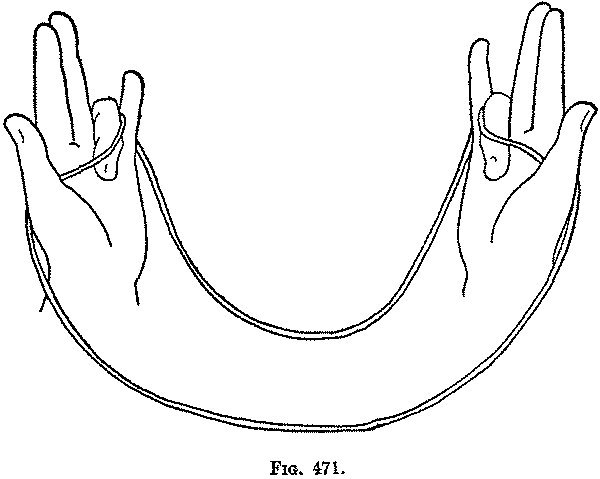 Sixth: Pass each little finger toward you over the near ring finger string and the far index string, pick up from below on the back of the little finger the near index string (Fig. 476), and return the little finger to its position. 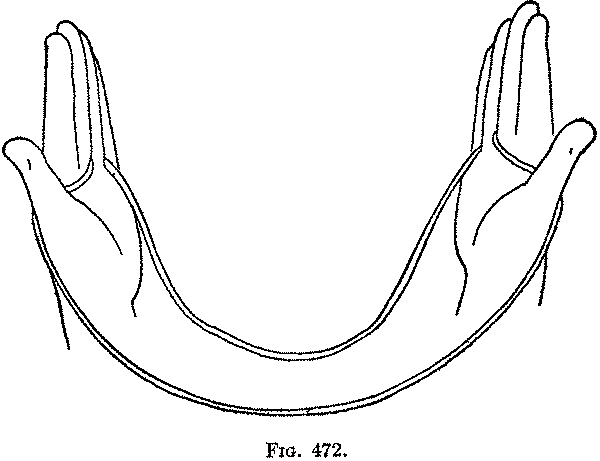 Release the loops from the thumbs; separate the little fingers widely from the other fingers (Fig. 477). When the hands are held in their usual position the "M" appears; when held with the fingers pointing away from you a W appears.